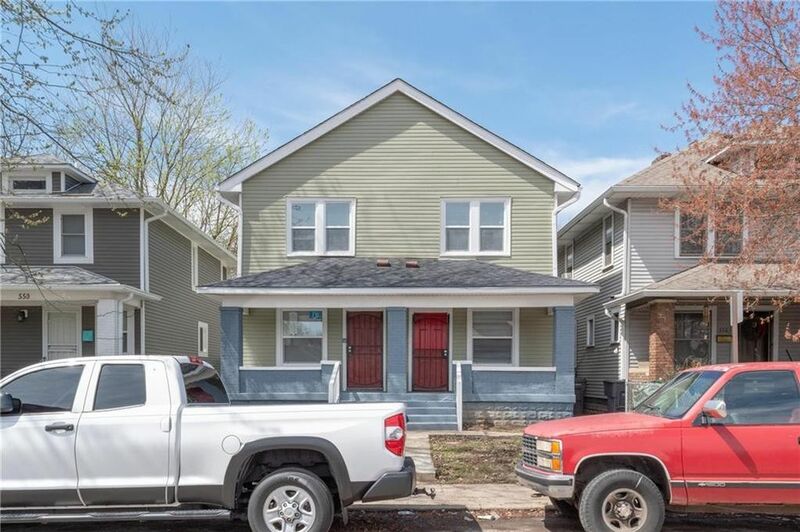 Saint Clair Place duplex completed renovated and ready to move into...come be a part of the growing Near Eastside. This duplex is 2 bedrooms 1 bath with covered front porches. Mechanical updates include 2 HVAC systems, 2 hot water heaters, complete re-wire, & complete replumb. Exterior updates new vinyl siding, new roof, new windows, privacy fences for both units that have decks attached to the home. The interior also has been completely redone! Both kitchens have new cabinets, butcher block counter tops, ceramic tile floor, and tile backsplash. New bathrooms with tile surround, ceramic tile floors, new vanities. Must SEE!! Directions: Head East on E Washington St, then turn left on N Rural St, then turn left on E Michigan St. Take a right on Eastern Ave and property will be on the left.